Parliamentarians set to look into inter-agency squabbles. The parliament will hear the heads of the National Anti-Corruption Bureau, the Specialized Anti-Corruption Prosecutor's Office, the Prosecutor-General's Office and the Security Service of Ukraine in a closed-door session on Tuesday. 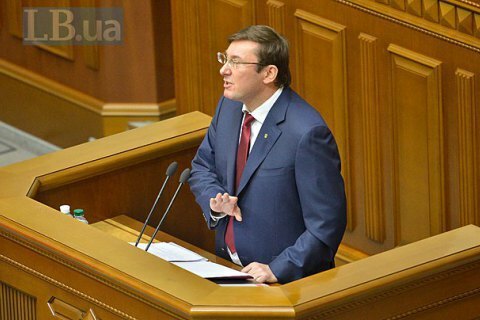 The head of Petro Poroshenko Bloc faction Oleksiy Honcharenko wrote on Facebook that hearings will be dedicated to conflicts among the country's law enforcement agencies. In recent months, Ukraine saw a series of public interagency conflicts in the system of law enforcement and anti-corruption bodies. National Anti-Corruption Bureau had fought with the National Agency for the Prevention of Corruption, Interior Ministry is in public conflict with NABU, Prosecutor-General's Office opened a probe into the NABU director, NABU investigates prosecutor-general, the SBU detained a NABU undercover agent. In addition, tensions sparked between NABU and the Specialized Anti-corruption Prosecutor's Office.